Ernie and Erica's new book is coming out on Kickstarter! If you want all those details in one place, this is it. since I missed Pauls DVD-Kickstarter I´m backing this one ! Thanks for the link ! Thanks Byron and Ralf! I was going to post it here today, and it's already up! Here are some pictures and sample pages. Of course, being as it's a Kickstarter, there's a lot of "side dishes" with discounts on plans, services, and so on. 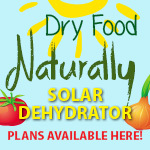 If you can order by the end of March, it will help us estimate demand for the print order. 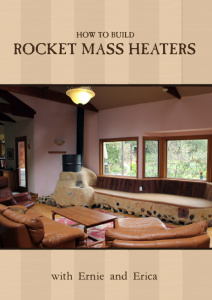 Paul's updated Rocket Mass Heaters article: http://www.richsoil.com/rocket-stove-mass-heater.jsp. Paul and several forum members contributed material for the book and its appendices, and some of our other colleagues have joined permies.com, so the material in this book may look somewhat familiar. Just way better laid-out, between several years' worth of illustrations, and the publisher and layout crew doing a very professional job making it even better. Thanks very much for supporting us! Taking an interest in each other's work is a gift that keeps on giving. We had a wonderful workshop last year at 21 Acres in Woodinville WA. Partway into planning it, we realized that the main organizer was familiar: the same young man had contacted us a few years ago from an Idaho research station. They wanted to build rocket mass heaters, as they were not allowed to use vehicles on the research preserve - everything had to be carried in by foot or mule. Stocking enough firewood for winter (from outside the boundaries of the research area, I assume) was a real chore. There were other real chores - this is not "armchair" research by any stretch of the imagination, though they might have had a few lawn chairs and stools and logs to sit on after dark. 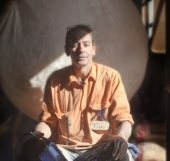 We spent maybe 40 minutes with him by phone and email at that time, following his progress, and confirming what he needed to know to do that project in extreme conditions. The original one at the research station worked so well, their cat would not get off it even when the plasters were still wet, and his fur was getting all soggy. His paw-prints are still there in the plaster now that it's dry (i guess they floated out the roll-marks, but kept one paw print). They built the other two for the other over-winter cabins, and as far as I know they're still in use. Anyway, these guys definitely appreciated a reliable and efficient heater, that they could afford on a grad-student budget and haul the bulk materials from the closest allowable place, not a mule-packing trip to Home Depot. And now he's back in civilization, raising a family, and building a demonstration greenhouse heater in the greater Seattle area, and scheduling a lovely book-launch event for us. We just keep meeting the most wonderful people through this work. Thanks for being a supportive community all these years. 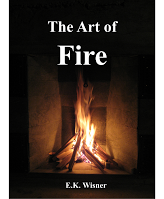 I think permies.com is probably the most-cited resource in this first edition of our book - it appears 14 times, 3 more than David Lyle's excellent Book of Masonry Stoves. There are just so many great projects that are first released here, or discussed here in the best detail, with great pictures and explanations. That's our affiliate link, so you would still be supporting us. And I believe you can request a wholesale order there too, if you're a book seller. But the Kickstarter is way more fun. If you like that sort of thing, come on out. This is such an amazing project, and Ernie and Erica are already well on their way to reaching their Kickstarter goal! If you haven't backed them already, be sure to do so here. The coolest reward? A $160 contribution gets you an autographed paperback copy of the Builder's Guide, plus one hour of private consultation with Ernie and Erica - how perfect is that?? I went for $75, which got me the book, a video and a passle of plans, ebooks, streaming videos and even a recipe for chocolate truffles (check out the Kickstarter Page to see what you get)! Thanks for your support everybody! We're halfway through our time window for the campaign. From what Kickstarter tells me, www.permies.com is one of our biggest referrers, tied with Facebook and almost as influential as Kickstarter itself. Please keep it up! Everybody seems to want the book. 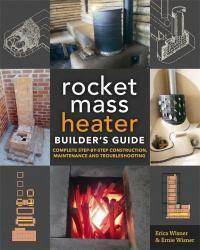 I wonder if we're reaching anyone who has not already heard of rocket mass heaters? When I support a Kickstarter campaign, I often give a dollar or two just because it is a good cause, well presented. Like the Detroit Pothole Mosaic artist who just closed a successful campaign - what a great idea! I don't need him to spend money sending me stuff, I just want him to keep doing his work, and making his neighborhood (and the world) a little better and more beautiful, one fixed pot-hole at a time. We're not getting very many of these "one dolla" pledges - it's almost all serious book-buyers, from the e-Book levels and up. That's a lovely problem to have. But I could use help reaching beyond our "insiders," to people who are just kinda interested. 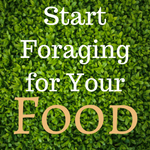 Could your friends use a cool e-book that will help them out on a camping trip this summer, or smokeless barbecue ideas, or just a nice recipe for vegan chocolate truffles? What else should I be saying, or joking about, or showing pictures of, to entice your friends and family so they get it? So they chuckle, see why you support this stuff, and chip in a little bit just to encourage more of the same? Your suggestions are most welcome here, or over on the Straw Poll if you want to hear more of the back-end details. Please keep sharing the Kickstarter. It's not over until it's over! This is our chance to make good on several years' investment in the book, and move RMH research forward at the same time. p.s. Heck, hop on over to the Kickstarter and send me a message there. or post a comment. I read them all. "Bitter Lessons from Rocket Mass Heaters: Promises, Dreams, and Faceplants"
This would be the freak shows of flaming death, the good ideas that went bad, the destruction-testing of early prototypes, the embarassing errors as the cob cottage heaters hit conventional buildings, and all those lessons learned that led to safer, more reliable, more durable designs we enjoy today. It would be an e-book, probably about 30 pages (if I can hold myself back), with pictures and diagrams and juicy gossip. And we can offer a specific challenge to the Permies forum members backing the kickstarter. Right now, permies.com is our second-biggest referral source - right behind Kickstarter itself, standing at about $3,000 in pledges. 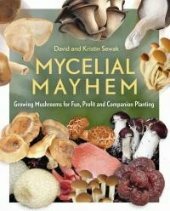 "for those daring DIYers, patient mentors, and permaculture goofballs at permies.com, the guardian angels who catch so many well-intentioned projects BEFORE they go bad." Any other ideas for promotions or stretch goals? Now that sounds fun - I'd like to read that! I've already pledged, but I really hope more folk join in and you meet your stretch goal. Thanks, Burra! We are almost at $20,000, it looks like $25,000 is possible, but not guaranteed! I'm thinking of offering more rewards in that just-over-$50 range so people can qualify for the Bitter Lessons book. One backer told me he already got the 4 DVD set, he doesn't need that. So what else should we put up? It could be one or two of our plan sets (you get the full set of 6 at the $99 level), or something else. $20 or $30 worth of something nice. Maybe we could do the book plus two RMH plan sets for $60. p.s. These are pretty ridiculous deals. I used to sell each plan set for $50. - i think detailed plans are not needed to those who have finished at least some of rocket mass heaters (succesfully) and have already dived into rmh knowledge deeply. They are capable of making up new plans specific to their wants and needs but they may not know of some of the bitterness that can sometimes come to the project unexpected. To those this bitter book is very much appreciated (and to me). Pledged. I can't wait for this book! Hey Klemen, thanks for clarifying. Hmmm... so what's a good pairing, for builders are pretty far along on the learning curve? Maybe the "bitter lessons" is enough incentive by itself. Maybe a lot of builders will want the book + ebook, at $56. 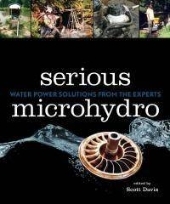 A searchable copy for electronic reference, and a paper copy to get muddy. But maybe we can do a $52 reward level with some rocket-plus plans. Maybe our new greenhouse RMH plans, which give some overviews of passive-solar design, thermal inertia, and the bypass damper? 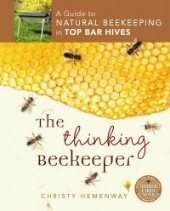 I think, even if you already know enough to avoid repeating any of the Bitter Lessons, they will still be an entertaining read. there is a lot of room for self-deprecating humor here. I just got off the phone with Erica. The permies.com users raised more than $6,000 so far for Erica's Kickstarter so we are going to get the awesome mention that she offered! Right now her Kickstarter is freaky close to reaching $25,000 so everybody can get the bitter rocket mass heaters book. I talked to Erica about another stretch goal and then ended up with us talking about two new stretch goals. The first would be at $30,000 and she would write an additional ebook that would be a cookbook of heat risers. And at $35,000 she would write an innovators cookbook. We talked about lots of chapters within these ebooks and I think that they will both end up being rather rich books. Backed. This is so great. Glad to be able to support you guys + get some awesome content. Someone suggested it's not always easy to add up all the "plus" factors on the rewards. - Teeny Tiny Mass Heater Plans (from stretch goal #1). - .... and other stretch goal bonuses? I don't know the total value, because some of it is stuff we have not sold before, and may not sell for a while. But you can check our Scubbly store, www.scubbly.com/store/ErnieAndErica/, and compare the prices on what is listed there. I think the extras add up to be worth more than the book. All that stuff above is "The Book plus Fire Starter rewards." Any higher level includes the Fire Starter stuff, plus whatever it says in the reward description. Levels above $50 also get the Bitter Lessons eBook (stretch goal #2 bonus). What is the Builder's guide to mud? Is it something you have already written? Is it on scubbly? paul wheaton wrote: What is the Builder's guide to mud? Is it something you have already written? Is it on scubbly? It is not on Scubbly. 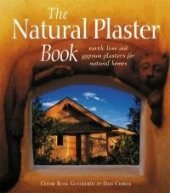 It is our personal recipe book for natural paints and plasters. A cross between a course handout, and a quickie reference guide for owners and clients. I might release it publicly someday, but it's currently more like a live notebook. We update it every so often, so we can give students and clients our current best resources. If there was an option for shipment to Albania I would commit, too. Blendi Kraja wrote: If there was an option for shipment to Albania I would commit, too. You could pledge under someone in the US and have them ship it to you, might be cost prohibitive though. You could get the ebook then there are no shipping charges. Erica Wisner wrote: Hey Klemen, thanks for clarifying. That makes me laugh. I think you can pay less than $3191 if you wait a while. Blendi, I can easily create an option for Albania. But like most countries outside North America, it will likely cost $33 to $35 US to ship just the book. Please let me know if you would like just the book, or one of the higher reward packages, and I will add an Albanian shipping option under "International." Any other international requests - I think I saw Slovenia, and Poland? The digital files are definitely a less-costly option for international readers. Ok, I give up and go for digital copies. Which kickstarter option is to have everything digital? Blendi Kraja wrote: Ok, I give up and go for digital copies. We have got the numbers for the UK edition! And it will save you $20 if you are in the UK. Permanent Publications says it will be L'29.95 (that's stupid Ameri-Keyboard for "pounds"), which at current exchange, is about $42. With shipping to anywhere in the mainland UK, it comes out at just about $50. I put the reward level up as "shipping included within the UK," so you can qualify for the serious-builder rewards. For those in AU/NZ, shipping is $6 more, but it's still a discount compared to book-plus-shipping from the USA. Silly rebel colony. Erica Wisner wrote: We have got the numbers for the UK edition! Gosh, this may be great news..
Klemen - I was able to confirm, yes, they can ship within EU. It is only a little more cost than within the UK. I have added the EU to that item. It does not get us any breaks shipping to Albania or Japan, sorry. Those are outside the territories where PP is licensed to publish. I am open to other options still. If you know a local book seller who might like to take a small wholesale order, so you can buy locally, please have them contact us or our publishers ASAP. ... I put the reward level up as "shipping included within the UK," so you can qualify for the serious-builder rewards. I think the total within the EU comes out to $54 with shipping. Much better than paying $70 plus VAT! I really hope for you two to pass 35k$! (and for us to get Inovator's cookbook ! To my Slovenian friend: yes, please check. However, I was about to viber out to my sister who lives in US if there is someone coming this summer here, so that I buy the book, send to her and she gives it so this prospective traveller. If my option is viable, I'll check the reverse thing and I can mail it to you if it's cheaper that your option . 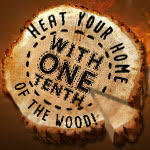 Do you heat with a woodstove? Would you like to buy or cut a quarter of the wood you currently need? Would you like to reduce pollution? These people can show you how to build a wood-fired heater that does this and can cost less than a new woodstove. My sister is coming in person this summer, so I will redirect the book to her and she'll bring it to me. If you want, you can do the same and I'll let you know the shipping charges AL-SL. I can't promise anything, but I'm planning a "beach-going" spree with my family this summer (if The Boss agrees , the kids are already on board) in both Adriatic and Ionian see rivieras. If so, I'll bring it to you in person for free in Slovenia. I want to select the $35 reward, should I buy it under my name and select shipping to the US, and then provide the address of my sister living in Las Vegas? Never done kickstarter, so I would need advice. Right now Mysterious Manifold is ranking highest on the thumbs-up scale. Various Kitchen-themed options are a strong second, or if I figure out how to combine them right, might even be more popular. (with a bonus fish recipe for the one person who actually liked my Hitchhiker's Guide to the Galaxy reference). We will keep working on the Kitchen idea, in case we rocket up toward another stretch goal after that. If we bust $45K I will at least put together good documentation on the Shrimp mini-cooker prototype, for our backers and AT course participants. I would like to say "super clean-burning wood cook stove" but I gotta burn it first! I will check with Lasse, Matt, and other prototypers, and see if they're up for releasing some detailed plans, if I help write them up. Maybe the $50K will be a Wood Cook Stove Designs for the Permaculture Kitchen: renewable fuels, multiple functions on each item, and multiple options for each function. I will go edit that post and see if it sounds better.